March 20 is National Native HIV & AIDS Awareness Day, when we recognize the impact that the HIV and AIDS epidemic has had on Indigenous communities throughout our country. According to the Centers for Disease Control and Prevention, the Native community had the fifth highest rate of HIV diagnoses in the U.S. in 2015 -- higher than both Asian and white communities. Furthermore, gay and bisexual men accounted for 79 percent of HIV diagnoses among Native individuals. As with most communities affected by HIV, stigma, substance abuse and limited access to culturally-appropriate programs and services contribute to increased HIV risk within Native communities. Today, we recognize Elton Naswood and Michelle Enfield, two Native activists working for better access to preventative and maintenance care for Native individuals living with and affected by HIV and AIDS in the U.S.
Elton Naswood is a national advocate who has extensive experience in providing resources and capacity-building assistance to Native agencies to enhance HIV testing, link people to care and provide education on life-saving PrEP. Michelle Enfield is the Program Coordinator of Special Initiatives at APLA Health in Los Angeles. 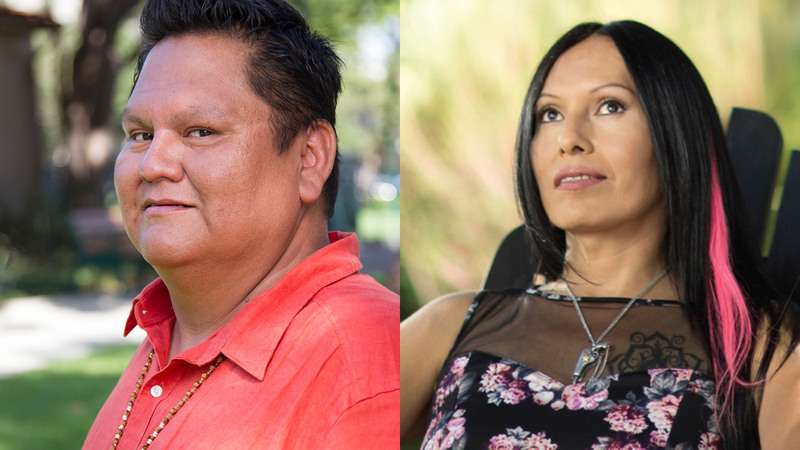 She manages The Red Circle Project, which is Los Angeles County’s only HIV prevention program targeting the Indigenous gay, two spirit and transgender communities. The program also offers a platform for participants to share their personal and cultural experiences with HIV and AIDS education as a common thread. For more information on HRC Foundation’s work to end HIV and HIV-related stigma, please click here.